It's a little strange that there is already an add-on for Borderlands but I for one were extremely pleased because Borderlands was a damn fun gaming experience. Even though it had a few flaws (not many), it challenged the status quo of the genre and offered players something unique, challenging and more importantly entertaining. With that said, The Zombie Island of Dr. Ned is available via XBox Live that although is relatively short (4 - 5 hours), it expands on this interesting universe and best of all, it features zombies my man... those damn zombies! Once you have downloaded the add-on, a new area becomes available in the original Borderlands game where the player must use any means necessary to dispose of these undead creatures but the star of the game is definitely Dr. Ned himself with his great dialogue that had us in stitches. As to the story? The story revolves around the corporate town of Jakob's Cove that is allegedly overrun by the undead and of course the rumours are true, thanks to the eccentric Dr. Ned. With crates, weapons and ammunition available, it's time to lock and load and get those damn zombies! As soon as you venture into this new world, you are almost immediately beset by zombies but best of all, the developers have included a variety of different types and yes, they can really cause some damage and problems for your characters. The Zombie Island of Dr. Ned is also quite violent (strange that this passed the Australian censors) as body parts and innards fly all over the screen as you blow them to kingdom come. However it's all part of the gameplay and is the perfect download for those wanting to extend their Borderland experiences. 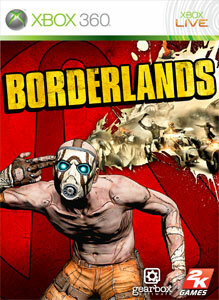 In terms of difficulty, the game is around a mid level of difficulty, however if you have completed the original Borderlands game, than you should have no issues whatsoever as you gain additional levels, items and more specifically fun as you go on a one man killing spree. With great graphics that made Borderlands so compelling, the developers have really excelled with the voice acting that sounds like it has been taken from a bad exploitation horror movie from the 70's. With the enemies coming fast and thick, it's time to stock up before you visit Zombie Island and get ready for one hell of a ammunition waster. With the inclusion of Zombies, Borderlands: the Zombie Island of Dr. Ned is actually not more of the same and definitely throws a curve ball into the genre and as Zombies are the in thing at the moment, it's great to send these undead back to their graves for good, just make sure you have some wet wipes available because it's going to get messy!